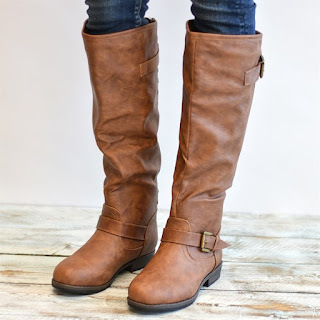 Head over to get a pair of these Studded Riding Boots for ONLY $29.99 (Retail $84.99)! These studded knee-high riding boots are the perfect addition to your wardrobe! They have a round toe, are made of faux leather, and zip up the back for easy on and off. Get them now in one or more of these great colors!